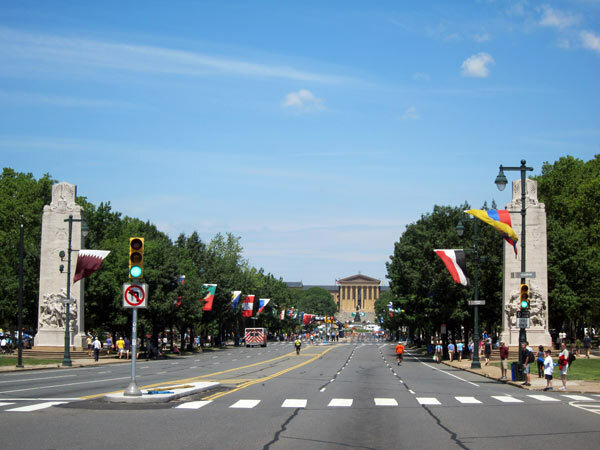 The spine of Philadelphia’s cultural district, this grand diagonal avenue connects City Hall to the Philadelphia Museum of Art. 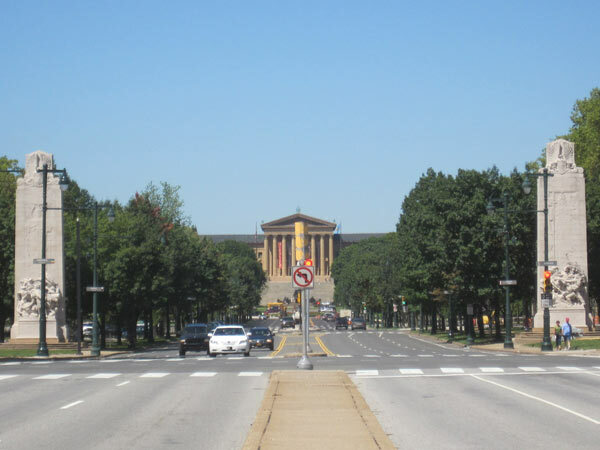 Designed in 1917 by Jacques Gréber for The Fairmount Park Commission, it was constructed from 1917 to 1929. Gréber’s plan built on a concept from 1871 and a 1907 plan developed by Paul Cret, Horace Trumbauer, and Clarence Zantzinger and his partners. Gréber's plan was developed at the same time as other linear parks and pleasure drives in cities across the country. 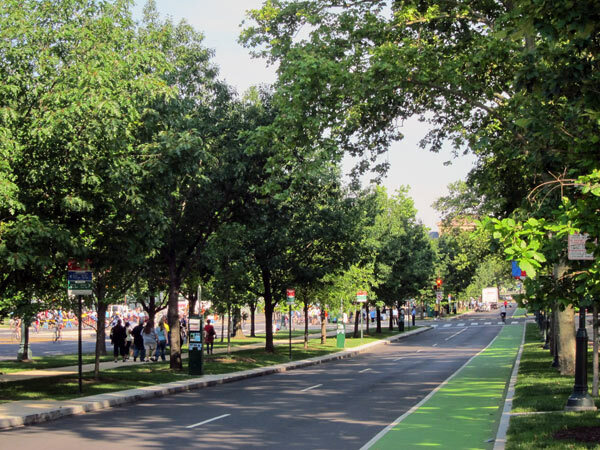 In Philadelphia, the northern, broader section of the parkway included a central avenue edged by two medians planted with two rows of red oak trees. These were flanked by secondary drives bordered by up to five rows of plane trees. 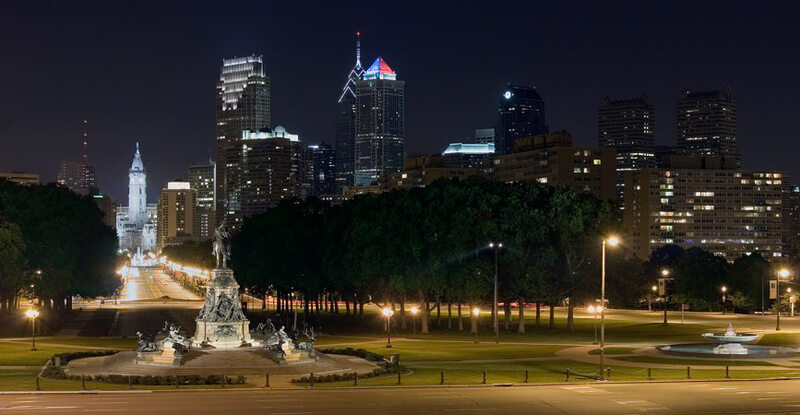 Logan Square, the terminus of this wide section of the parkway, is a circular space with a central fountain surrounded by trees, gardens and lawn. 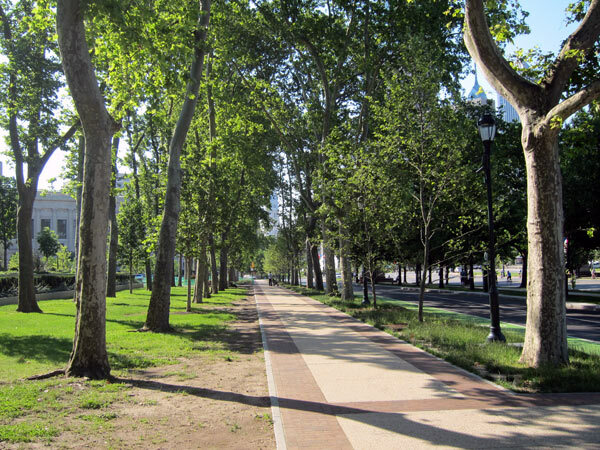 The parkway section from Logan Square south to City Hall is a narrower right-of-way, with a single row of trees on each side of the street. 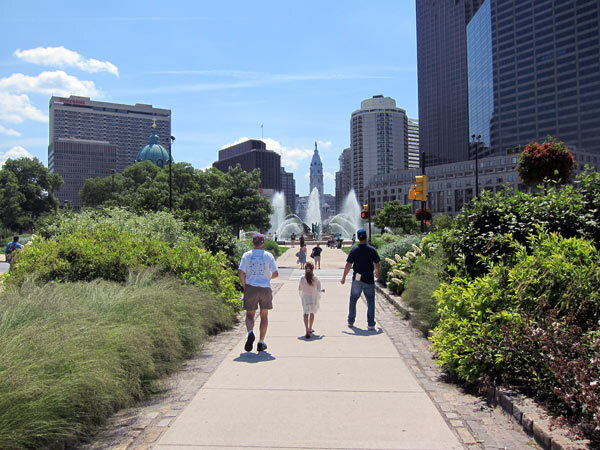 This more modest portion ends in front of City Hall at Dilworth Park, designed by Susan Weiler of OLIN. 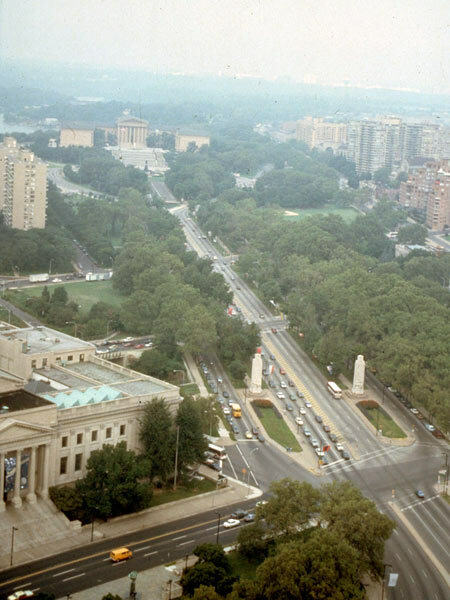 Over the years museums, monuments and sculpture have been added along the parkway and are an integral part of design. 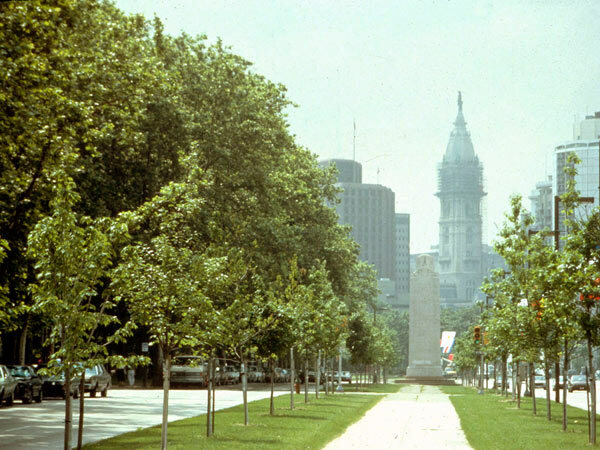 A decline in the health of the trees led the Fairmount Park Commission to implement a 1989 rehabilitation project which focuses on the preservation treatment of the tree plantings on two central medians.